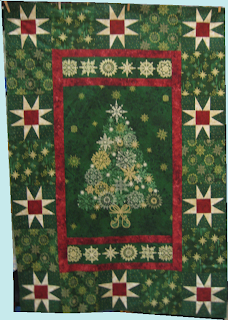 I recently attended Pacific International Quilt Festival (PIQF) in Santa Clara, CA with a very good quilting buddy. It's always nice to go to shows with a kindred spirit because you can talk shop without needing to do the background info. 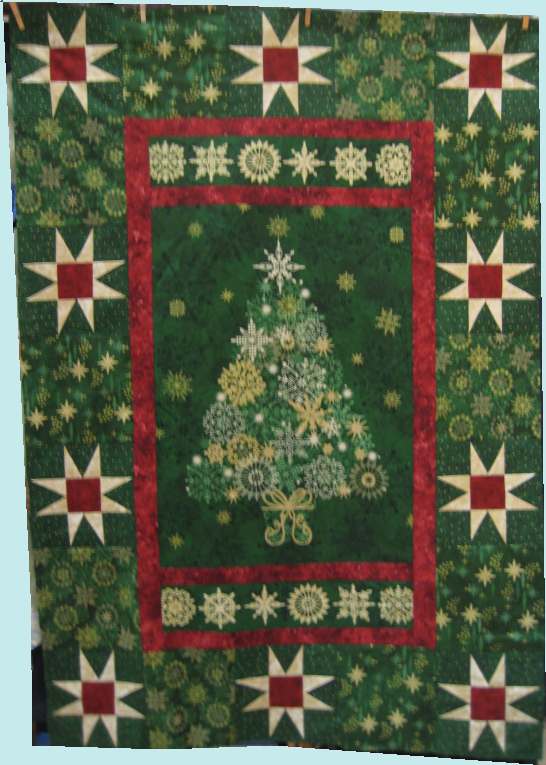 One booth we stopped at had a Christmas tree wall-hanging, "All That Glitters" designed by Christine Baker & Nellie Holmes, featuring a gorgeous panel print and companion fabrics. The thing that caught my eye ... along with everyone else's! .. was the twinkling lights that had been inserted in the wall-hanging! It was just so doggone cute! As it happens, my youngest daughter loves Christmas. She has an apartment but I bet that she's not going to spring the money for a Christmas tree. I thought that she might like this wall-hanging in lieu of a real tree and it might suffice until she gets a home of her own to settle in, where she *can* invest some emotional energy and funds to decorate for Christmas "properly". The booth had the wall-hanging available as a kit ... panel print, companion prints and the lights! Even though it was early in the day, I sprung for the kit. You just never know how fast something will sell out at a show. Yesterday (Saturday, 10/19), I spent time to piece the top together. It's rated at a beginner's level and I must agree. It is very, very simple to construct. I have a couple of nitpicks to discuss. 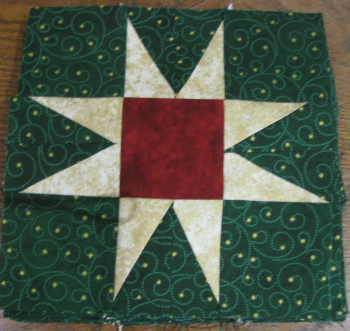 The star blocks are Sawtooth Star blocks. Sometimes the points are made with Flying Geese; sometimes they are made with triangle-in-a-square blocks. 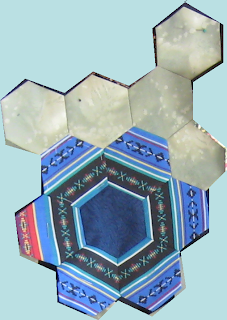 This pattern chose the triangle-in-a-square block. 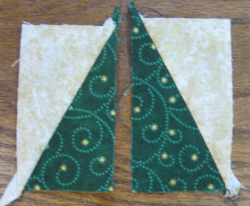 One nitpick was how they pieced the triangle-in-a-square unit. They have you make a half-rectangle to VERY specific measurements then join the two half-rectangles to make the triangle-in-a-square. This results in a seam down the center of the block. This seam creates unnecessary bulk at the center top of the block. If you are slightly off in the seam allowance or in the pressing of the seam allowances, your final half-rectangle unit won't be quite the right measurement, which means your triangle-in-a-block unit won't be quite right either. 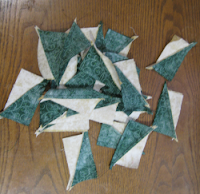 Having said that, *most* of my triangle-in-a-square units were within a reasonable margin of error. Beginning sewers might not have as much good luck. When constructing units such as these, I like to make them slightly over-large and trim them to size. In this manner, I can be absolutely assured that the final block will be precisely the correct measurements. Furthermore, I wouldn't have used the half-rectangle approach. 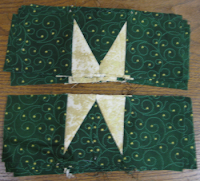 I have Eleanor Burn's "triangle in a square" ruler, which makes constructing this block a cinch. Personally, I *adore* this ruler set for making this block. It is absolutely, positively fool-proof. 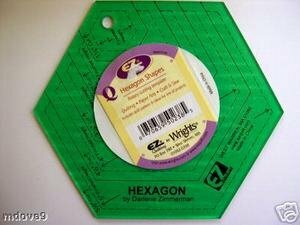 However, even if you *didn't* have Eleanor's ruler, you could still make this block by cutting two side triangles and a center triangle (one such tutorial is here, but there are many others out there). But, you'd need to be aware that this construction technique is an alternative. 6:00pm. 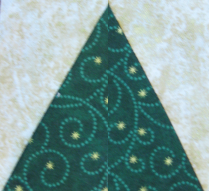 Cut the top & bottom snowflake borders from the Christmas tree panel print. 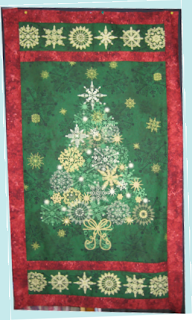 True-up the Christmas tree panel rectangle. Make a whole bunch of them. Put them aside for the moment. 6:21pm Cut and sew on the red fabric sashing and inner border. 6:30pm Chain stitch the two halves of half-rectangles together to create the triangle-in-a-square unit. Make a whole bunch of them. Make more. 8:55pm Construct star block component 1, consisting of one triangle-in-a-square and two plain fabric squares. Make a whole bunch of them. 9:34pm Construct star block component 2, consisting of two triangle-in-a-squares and one plain fabric square. Make a whole bunch of them. 10:05pm Combine star block component 1 and 2. This resulted in 10 star blocks. 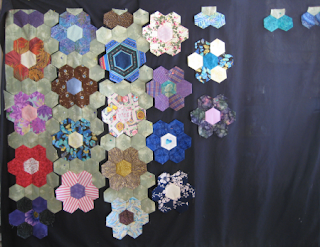 Construct the borders (top, bottom, sides), consisting of alternating the Sawtooth Star blocks and plain fabric squares (from the companion prints). 11:39pm Final, finished version of the top is completed, ready to be quilted. 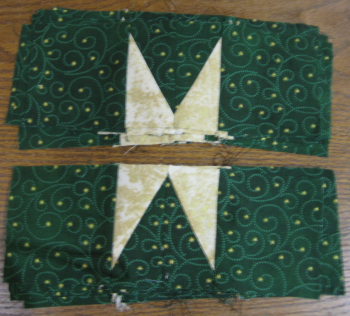 Note that the duration was 6 hours BUT at least 2 hours of that was interrupted by non-sewing stuff. This is a top that can EASILY be made in one day. At this point, the top can be quilted. Once quilted, you square it up and bind it. Then, you decide where you want the little LED lights are to be placed. 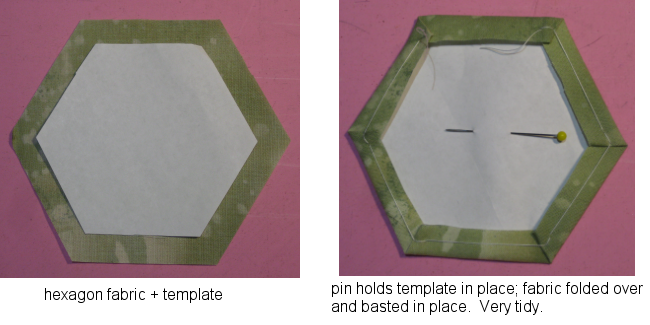 Make a buttonhole (machine or by hand) at those spots so that the LED light can be inserted from the back. Yes, you could just poke a hole through the quilt with an awl, treat the raw edges with Fray Check or Fray Block and then put the LED lights through the hole .. but really. REALLY ... don't do that shortcut at this point! 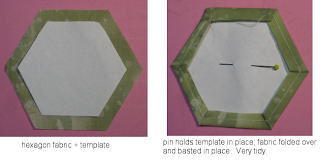 Take the extra time to make the buttonholes! The LED lights have a small battery pack that powers them. You'll need to make a pocket on the back of the quilt to hold this battery pack so it is out of sight. But sure to put a hanging sleeve on the quilt! 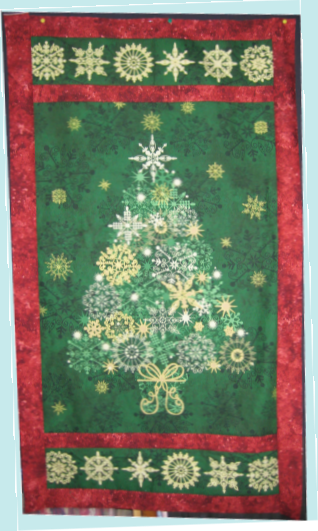 I like to sew the top of the hanging sleeve onto the quilt when I sew on the binding. That way, I know that the hanging sleeve is going to be securely attached to the quilt.